Tokyo: Sony Corp will recall 1.6 million of its Bravia brand LCD televisions worldwide after several incidents of TV sets emitting smoke or parts melting due to faulty components, a company official said on Wednesday. There have been no reports of injuries or of damage to anything other than the televisions, Sony said. 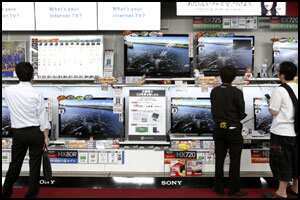 The televisions subject to recall were manufactured in 2007 and 2008 and were mostly sold in Europe and the United States, although some were also sold in Japan and other parts of the world, a Sony spokeswoman said. The company will issue an advisory to customers on its websites and by e-mail.